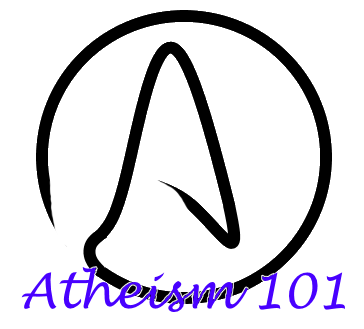 Atheism 101: How is atheism different from other forms of non-theism? Atheism 101 number 3 will be broken up into 3 parts. In this part I will discuss the majority of non-theist positions. I will discuss what they are and how they relate to atheism. In the next post I will discuss agnosticism, and I will discuss anti-theism in the third part. I will be giving them their own posts due to the assumptions that a) all atheists are actually agnostics, and b) that all atheists hate religion and are therefore anti-theists. I will be braking this post up into the different non-theisms I will be discussing. I will begin with the general term “non-theism.” There are a lot of misconceptions surrounding this term. In reality, it holds the same meaning as “atheism,” but it has a Latin root rather than a Greek one. However, they tend to be used differently. A non-theist is simply someone who is not a theist. Atheists are non-theists, as is anyone who falls into any of the categories that I will be discussing in the next few days. But some people simply identify as non-theists. So what are non-theists? Historically, non-theists have been those who feel a genuine connection to something they consider to be God, but they reject any traditional understandings of what God is. Bishop John Shelby Spong has been considered by some to be a non-theist because he quite clearly rejected the popular theistic understandings of “a personal being with expanded supernatural, human, and parental qualities, which has shaped every religious idea of the Western world.” At the same time, he was a theist in the sense that he believed in a god and he considered that god to be the Christian God. As such, some would consider a non-theist to be someone who does not accept a theistic understanding of gods. I personally wouldn’t consider such a person to be a non-theist. This is for the same reason that I wouldn’t consider a god-believing person to be an atheist: it waters down the term into meaninglessness. A non-theist is by definition not a theist, and a theist is by definition is a person who believes in at least one god. As such, if a person believes in at least one god, even in a deistic sense, they cannot be a non-theist. In my mind, it is the lack of belief in a god that defines someone as a non-theist. This is the same as the definition of an atheist. But, again, different people use the word differently, and it is important to be aware of these differences in word use so that we do not talk past one another by mistake. The next term I will discuss is Skepticism. Skepticism is another term that is not so well understood. This is because there are multiple kinds of skepticism. The term “skeptic” came from ancient Greece and referred to a group of philosophers who believed that it was impossible to know anything. This is still the term used to refer to philosophical skeptics. However, very few people would consider themselves to be philosophical skeptics. Skeptics within the atheist movement are different. Religious skepticism tends to refer to doubt towards a religious beliefs or claims. Anyone, theist or non-theist, can hold this kind of skepticism. However, atheistic skeptics take this religious skepticism even farther. They do not just question certain religious claims, they question all religious claims. They demand that the scientific and historical methods of showing evidence be used to test a claim before they are willing to consider the claim to be true. Michael Shermer is one of the biggest names in atheistic skepticism. As is James Randi. While atheistic skepticism is not the same as atheism or agnosticism, the followers of this movement tend to identify as either atheists or agnostics. It is a common misconception that skeptics are people who simply disbelieve things for the sake of disbelieving them, or who disbelieve everything beyond reason. I don’t think that this is entirely a misconception, as it is common to find people who call themselves skeptics and are unwilling to believe things even when disbelief is more irrational than belief. There is a fine art to skepticism that a lot of people don’t understand. For example, when there is a 2% chance that a person is lying about having been raped and a 98% chance that they are telling the truth, believing that they are lying is irrational. However, a lot of skeptics will refuse to believe that a person has been raped until there is more evidence than can be expected to be found on any crime scene. But this is not what it means to be a skeptic and it is not the case with all skeptics. Skepticism merely means demanding that there be evidence for a claim before being willing to accept it. It means only believing what you know to be probabilistically true. Skepticism is the process of applying reason and critical thinking to determine validity. It’s finding a supported conclusion based on evidence, not the justification to a preconceived conclusion. I consider myself to be a skeptic. I view skepticism as a very important part of the search for truth. However, I am not a fan of the current skeptics movement. As it stands right now, the skeptics movement is where most of the problems in atheism can be found. Too many believe themselves to be skeptical an ignore their own irrationalities. Too many are willing to excuse the abuses within the movement. As a result, I don’t spend much time at skeptics events or in skeptics communities. The next term I will discuss is Secularism. Secularism is the idea that government institutions and people mandated to represent their country be separate from religious institutions and religious leaders. Unlike non-theism and skepticism, this is not generally viewed as a group to belong to or a title to give oneself. Rather it is a position that one holds or a condition of the state. Secularism manifests itself in the assertion that people have the right to be free from religious rule and in the declaration to be neutral on matters of belief. People who support secularism also tend to hold the view that public activities and decisions should not be influenced by religious beliefs. There are many reasons why people support secularism. Historically, governments weren’t secular. A country would have one religion that was put above all others (and one denomination within that religion). If you were a part of that religion, then you were treated fairly well. But if you were a member of another religion, or no religion, you were at risk. You could be unfairly taxed, your property could be taken away, and you could even be attacked or imprisoned. Secularism means that no religion is put above any other. It means that nobody gets special treatment for being a member of one religion, and nobody risks being discriminated against (at least not by the government) for being a member of another religion, or no religion. Secularism isn’t a group, but Secular Humanism is. Secular humanism is considered a philosophy or a moral system. It is non-theistic. Secular humanism is thought to be something that touches every aspect of life. It deals with a number of social justice and moral issues including those related to values, meaning, and identity. Secular humanism is thought to address those issues that atheism doesn’t deal with. Secular humanism is a philosophy that deals with ethics within the material, or natural, world. It holds that the natural world is all there is, and that we can only gain knowledge by studying nature using the scientific method. Secular humanism is a philosophy that accepts naturalism, or holds to the belief that the supernatural does not exist. Secular humanism is also a Consequentialist philosophy. It accepts consequentialism as true. This is to say that the consequences of a persons actions are seen as more important than the intentions. It is also believed that the good action is the one that brings about the best consequences. Different types of consequentialists see this as meaning different things. Some believe that the actions that bring about the most pleasure for the person who acts is the best action. This is called Hedonism. Others believe that the act that brings about the best consequences for the most people is best. That is called Utilitaianism. There are numerous types of Hedonism and Utilitarianism, and they all take consequentialism to mean slightly different things. Consequentialism goes against command ethics, which takes right and wrong to be derived from a divine authority. To many, secular humanism is where morality meets atheism. While atheism is merely the belief that there are no gods, secular humanism tells us how to determine if something is moral and how to make decisions based on that morality. It is not necessary to be a secular humanist to be a moral atheist, but it is the secular humanists who are most concerned with morality from an atheistic perspective. I consider myself to be a secular humanist. I like their value system and their focus on ethics. Unfortunately, there is no secular humanist community in my area. However, I am trying to get more active within the secular humanist community. The next term I’ll discuss is “Freethought.” Freethought is a philosophical viewpoint that believes that all positions regarding truth should be formed around logic, reason, and empiricism, and not on authority, tradition, or dogma. 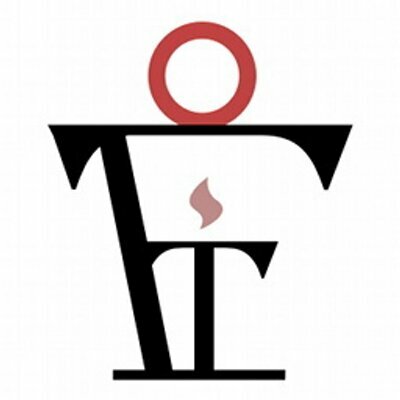 Those who practice freethought are called “freethinkers.” Freethinkers hold knowledge and reason as the standard by which truth can be discovered. Freethinkers strive to build their beliefs on the basis of facts, scientific inquiry, and logic. Freethinkers believe that there is insufficient evidence to support the existence of gods, and any other supernatural phenomenon. Freethinkers don’t have to be atheists, or even non-theists. Theists can and have been freethinkers. However, most freethinkers are atheists, and theists tend to find that freethought goes against what they believe. I am a freethinker. This is the category, other than atheist, that I feel most comfortable with and that I attribute to myself the most often. As the leader of a freethinker group, it is also the category that I’m the most familiar with. The last term I will discuss is “Ignosticism,” also known as “igtheism.” Ignosticism is the belief that all theological positions assume too much about the gods and faith, spirituality, heaven, hell, afterlife, damnation, salvation, sin, and even the soul. Ignostics believe that all religious terms and concepts must be defined before they can be discussed. Without a coherent definition, an ignostic takes the position that the possible existence of the concepts being presented is meaningless. It has been suggested that ignosticism as a variation of agnosticism or atheism, but some people disagree with this. As I don’t know much about ignosticism myself, I’m not willing to comment on whether it is or isn’t a variation of atheism or agnosticism. This entry was posted on Saturday, February 21st, 2015 at 8:04 pm	and tagged with Activism, agnosticism, anti-theism, Atheism, belief, Christianity, faith, freethought, non-theism, non-theist, Religion, secular humanism, secularism, skepticism and posted in Uncategorized. You can follow any responses to this entry through the RSS 2.0 feed. « Atheism 101: What Do Atheists Believe? Buddhism is a non-theistic religion and it might be useful to use as an example when describing what non-theism is. However Buddhism also teaches of different realms of existence which includes a god realm among others. When people speak of a Christian god etc. it always reminds me of a Ghandi quote “God doesn’t discriminate.” What a world it would be if people of all religions didn’t discriminate too. Depends on the Buddhist tradition, though you are correct many are non-theist. What exactly is the Latin root of “non-theism”?